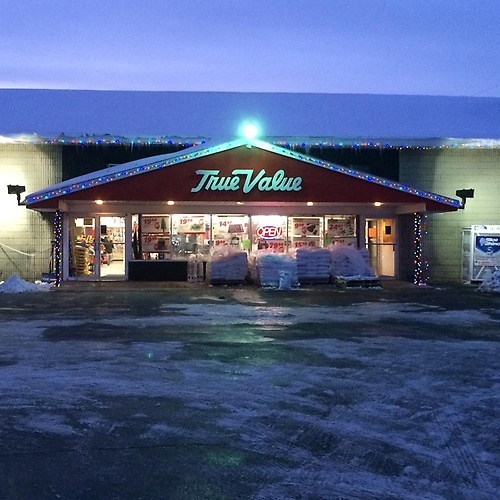 De Pere True Value Hardware is a locally owned full service Hardware Store. De Pere True Value Hardware opened for business on March 1st, 1999. We are proud to be part of one of the oldest operating businesses in De Pere. Historical records trace the origin of this hardware store back to the 1800's when it was opened by the Wages family. Over the years the store was operated under the names of Loy, Pratsch, Krueger, Danen and Vanevenhoven. In 1980 the Danen family moved the store to it's current location on N. Broadway. De Pere True Value Hardware stocks a full line of hardware and operates a ''Just Ask'' Rental Center. Other services include Toro mower/snowblower sales and small engine repair, sharpening service, custom paint matching, UPS shipping, glass cutting, propane exchanges, key cutting and lock re-keying. The store is particularly proud of its expansion into the grill market and has become one of the areas leading retailers of Weber grills and accessories. Shop TrueValue.com & deliver to our store!